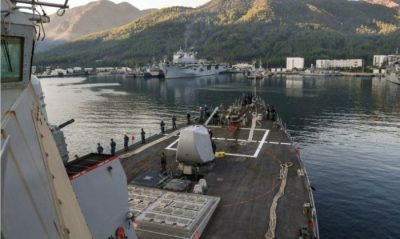 “The United States is interested in increasing its use of military bases and ports in Greece,” said General Joseph Dunford, the Chairman of the US Joint Chiefs of Staff (CJCS), on Sept. 4 during his visit to Athens. “If you look at geography, and you look at current operations in Libya, and you look at current operations in Syria, you look at potential other operations in the eastern Mediterranean, the geography of Greece and the opportunities here are pretty significant,” he added. US Commerce Secretary Wilbur Ross came to Greece right after the CJCS’s visit to take part in the annual Thessaloniki International Trade Fair.